As lead singer of the popular grunge outfit, Everclear, Art Alexakis penned some of the 90s most popular alt-rock hits including Santa Monica, Everything to Everyone and Father of Mine. Alexakis rough and tumble childhood and teen years shines through Everclear’s emotion laden lyrics. He pursued music and played in little known bands such as Easy Hoes and Shakin Brave before forming Everclear in 1992. Having taken out an ad in the local classifieds for band mates, Alexakis, influenced by the Pixies and grunge rockers, Nirvana and Pearl Jam, was eager to start his own rock band. 1994 proved to be a pivotal year for Everclear as they replaced drummer Seth Cuthbert with newcomer Greg Eklund and inked a deal with Capitol Records. 1995s Sparkle and Fade and 1997s So Much for the Afterglow solidified the bands place on the charts and in rock history. 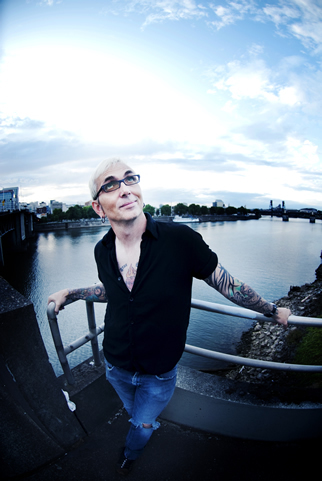 In the late 90s, Alexakis ventured off to his own projects  working on his solo debut (which quickly became Everclears next album), starting a record label and producing for other bands. He brings his solo project to Anthology on May 25.